It is now almost the end of Day 2 here at Catalyst. I have a great deal of information to share, but alas I am due at the resort club for a special dinner. I am in my room just doing a quick freshen up before dining at the famous Pinehurst Club. eBay & Paypal combined forces for a presentation which revealed a certain nervousness from Stephanie Tilenius, the new head of North American operations for eBay. 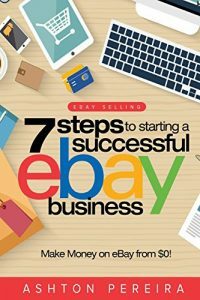 It is obvious that eBay has suddenly realized that merchants are actively seeking new channels to sell goods. A great deal of anguish over recent and some long term problems at eBay was expressed by the audience in the question and answer period after the joint speech. 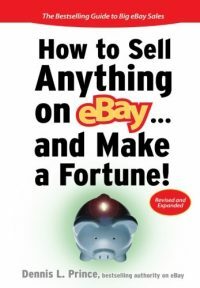 Stephanie Tilenius indicated that we have yet to see the end of drastic changes at eBay and said, "by this time next year we will not recognize eBay.com compared with how it looks today." Interesting yet cryptic quotes. To be fair, I should say that Stephanie's handling of the questions which were presented by less than friendly voices was both calm and well thought out. 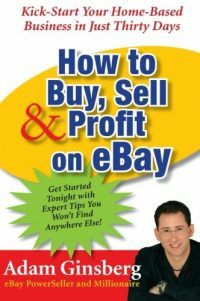 But no specifics were given to sellers which would allow them to allay fears over the recent and coming changes at eBay. Google's presentation later in the day by Vince Monical, head of Google's eCommerce and Analytics team, included a lot of interesting facts about the methodology of search. A great deal of emphasis was placed upon the effectiveness of the site's analytics product, Google site comparison and the multitude of eBay "Cloud" apps which can be run from any computer anywhere, like Google Docs & Spreadsheets. The effectiveness of Google checkout was also touted but it did not seem as though the audience had been sold. In fact, the last session of the day included a 10 person focus group of local citizens in Pinehurst, NC, who shop online. Not one of those people raised their hand when asked if they were familiar with or would prefer Google checkout over any other type of checkout. Several members of the focus group were familiar with PayPal however. Some work needed there for Google. There is still so much to cover and write about today. One main thought though...if you hesitated about coming to Catalyst for any reason in the past - maybe because you thought it was just a sales pitch for ChannelAdvisor - put that thought out of your head. This conference is worth every penny of admission. The ChannelAdvisor people, from top to bottom, seem to honestly want to help online merchants improve with solid information. There are many views expressed here, and not all of them coincide with what could be expected from a rah rah self-promoting conference, which this is not. And I can say that I am simply glad that I spent my day here today. I have only covered about 1% of the notes I jotted down in today's sessions. More is available to write about for sure, including real commentary about social networking marketing, small business life-cycle models for Internet sales, eBay based trade up programs used very successfully by online merchants in the Golf category and much more. Stop back by and I will try to put into words all I learned today, but for now I must get to the dinner and try to absorb even more useful information from the people attending and presenting here at Catalyst. Thanks Scott…I am convinced about Catalyst. I’ll be there next year for sure. Thanks again for taking the time to update us.